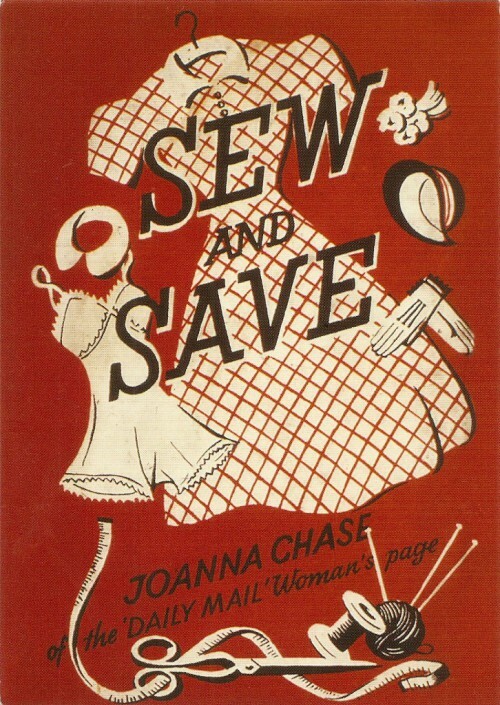 We all know that there are many benefits to be enjoyed by creating a garment by hand as opposed to buying one: saving money sometimes being one of them. But the cost of garment patterns, fabric, mock-up fabric, linings and notions can really add up. However, sewing needn’t be an exclusive activity, only to be indulged in when you’re feeling flush. Here are some ways to potentially cut some of those costs because, ultimately, less cost equals more creations! Thrifting. Doing the rounds of your local thrift stores/charity shops/Op shops is likely to be second nature for most creative and resourceful people, but it can sometimes take a few trips to realise the full potential of what is hopefully waiting for you to snap up. If you are lucky enough to live near such shops that sell some decent usable haberdashery/notions like zips and buttons then GRAB THEM! Even if you can’t envisage using them over the course of your next few projects, they may very well prove just the ticket further down the line. And if they don’t, then you can just donate them back. Second hand curtains, bedsheets, table cloths and large sized garments also hold unfulfilled repurposing potential. Muslins/toiles. Personally, the main cause of my failed creations, when attempting to use a pattern that isn’t a tried and tested favourite, is that I didn’t bother to make a mock-up to check the sizing and fit before steaming into my ‘good’ fabric. Now this is usually due to impatience, but I used to find calico (muslin etc.) off-puttingly expensive, and often irrelevant for very light/heavy/stretch fabric projects. Then one day I heard someone voice some glaring logic, it is more important to find a toiling fabric that matches your intended fabric as closely as possible. This somewhat opened up the game as to what I was looking for. Raid the bargain section of your fabric store, or hunt for those curtains or bedsheets waiting to be thrifted. Don’t be put off by a hideous colour, it doesn’t matter. Or if your mock-up fabric features a repulsive or distracting print, maybe you could use the reverse. Alternative fabrics. This may sound obvious to many, but your creations are not limited to the dress fabrics prescribed to you by your, sometimes over-priced, fabric shops. Unless you have your heart set on something, it may be worth checking out the furnishing/upholstery/curtaining options, as well as the aforementioned thriftable curtains, bedsheets, table cloths and big garments. Pictured above is my famed ‘skirtain’ created from a 70’s curtain which cost a whopping 25p. Pre-existing garments. Maybe you’ve managed to get your boyfriend to finally stop wearing his hideously faded or misshapen shirt, or you’ve finished whipping up a cute skirt from a massive thrifted floral dress or vintage set of curtains. WAIT! Don’t head to the textile bank with the remnants just yet, make like a hyena and scavenge. Remove the shirt buttons, dress zip, curtain lining, appliqués, lace sections, buckles etc for your future projects. Just like thrifted notions, their potential may not be immediately obvious. Patterns. The price of some garment patterns can make you think twice before taking them to the cash desk. These patterns may prove an investment, particularly if it becomes a favourite, but it’s undoubtedly better for your sewing budget if you supplement your pattern collection with some patterns from cheaper alternative sources. Increasingly the internet is host to sites offering free or low-cost downloadable multi-sized patterns which you can print out and stick together at home, Burdastyle being the most famous. 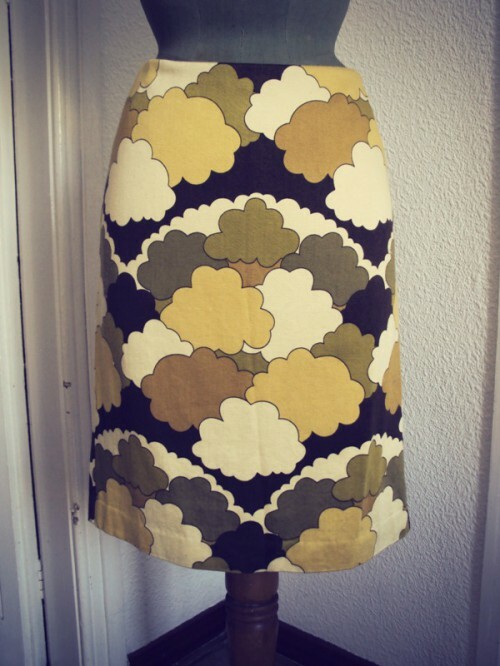 If vintage style is your thing, you can also add patterns on your wish list next time you hit the thrift/charity/Op shops, but these days they tend to be thinner on the ground. As many of us know from heartbreaking experience, older patterns are usually single sizes, so your thrifted pattern may not be your size. This is also a risk when delving into the third option: ebay. However, it is possible to pick up some total gems for little more than the cost of the postage. All great ideas. I try to make it to the thrift stores often, but hadn’t thought about looking for some of these things. The economy has taken a hit on my fabric/hobby spending money and this is a great way to save some cash. I find that people who don’t make their own clothes often assume that doing so is cheaper than buying them, and are surprised when I tell them how much it’s possible to spend on fabric, yarn etc. I loved your inventive list of tips – it’s nice to see saving money on crafts as something that can be fun and creative, rather than just settling for unpleasant but cheap materials. Oh, and that skirtain is a work of art! Great ideas! I live in Germany and wish there were more thrift/secondhand stores here like we have back home in California. So many awesome things to find. I also love upcycling from my own closet. Sometimes I get tired of the clothes I have so I remake them into something new-to-me! I have learnt that slopers help save a few bucks too. I used to buy a bag full of patterns just because they were on sale. One can’t beat a 10 for $10 sale but when they were not being used, I was wasting money. So I started making my own patterns from slopers. The slopers are closer in fitting your body than commercial ready patterns and you can alter them into any garment you want.